I became interested in paleontology at an early age, primarily through material displayed in museums. I have always been interested in knowing how things work, and paleontology is a great example of a science that uses available information to make interpretations about how things worked in the distant past. 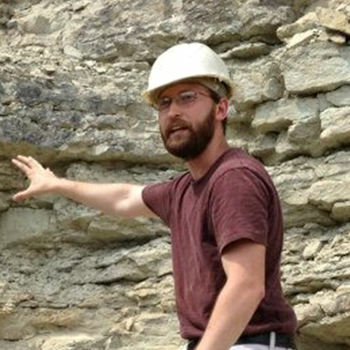 I work on many areas within paleontology, but the majority of my work has focused on understanding fossilization processes in marine environments. 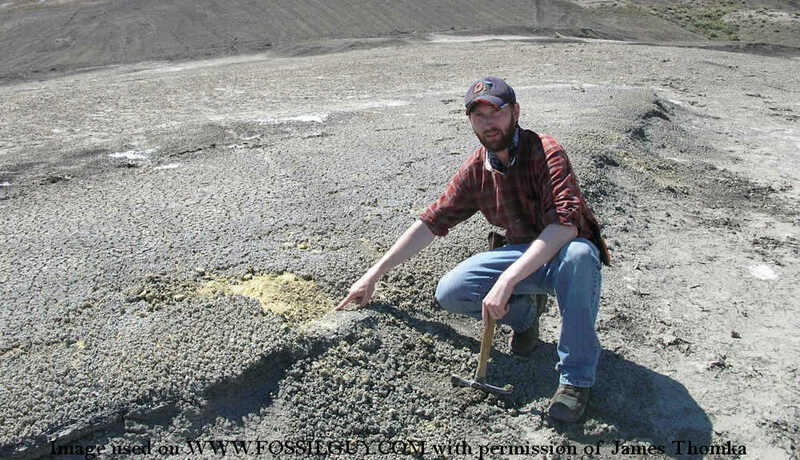 Because each specific environment is influenced by a unique set of physical, chemical, and biological processes, paleontologists can "read" the signatures of these effects on the preservation of fossils, and how these patterns change, and therefore learn a great deal about how environments change through time. Most of my weekdays are spent teaching or interacting with students. During the summer, weekends, and evenings, I am writing up results of my research or out in the field or museum gathering new information on research projects. 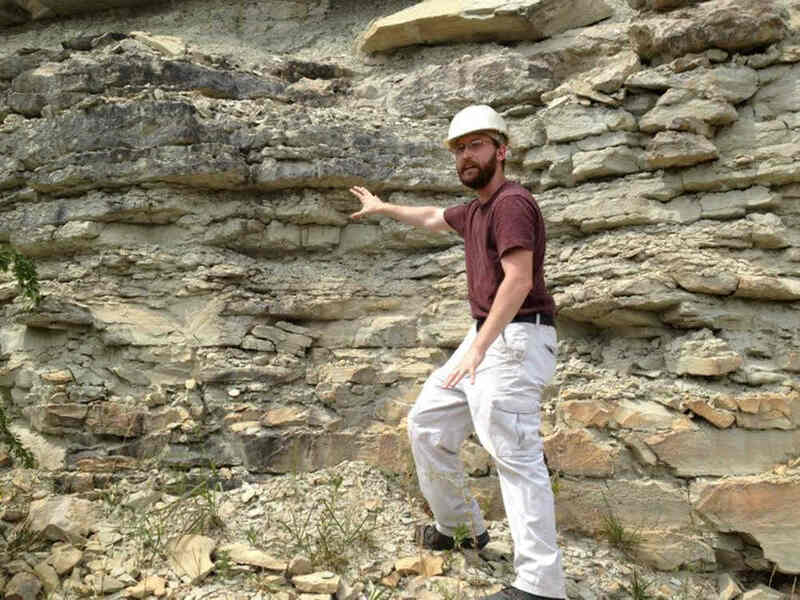 My favorite locality in the world is the Napoleon quarry of southeastern Indiana. It is just one of those places that produces something new and interesting every time I go there--no matter how many times I return! 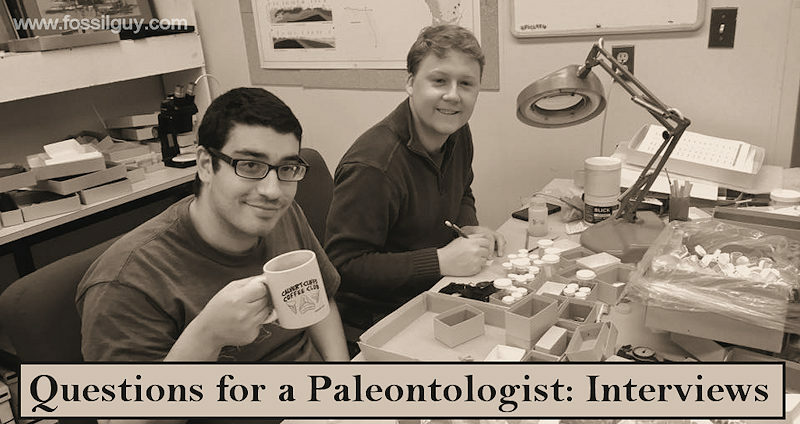 The number one thing that people don't realize about paleontology is that it is an incredibly valuable tool for understanding the modern world. The only way to put ongoing biodiversity and ecological changes in context--and to make any predictions about what may happen in the future--is to understand the processes, patterns, and rates of biological changes that have influenced the biosphere on various timescales. The ONLY way to realistically understand such phenomena is to study how life has changed through time, and the long-term effects of certain biological and environmental changes. James Thomka in the field researching invertebrates. 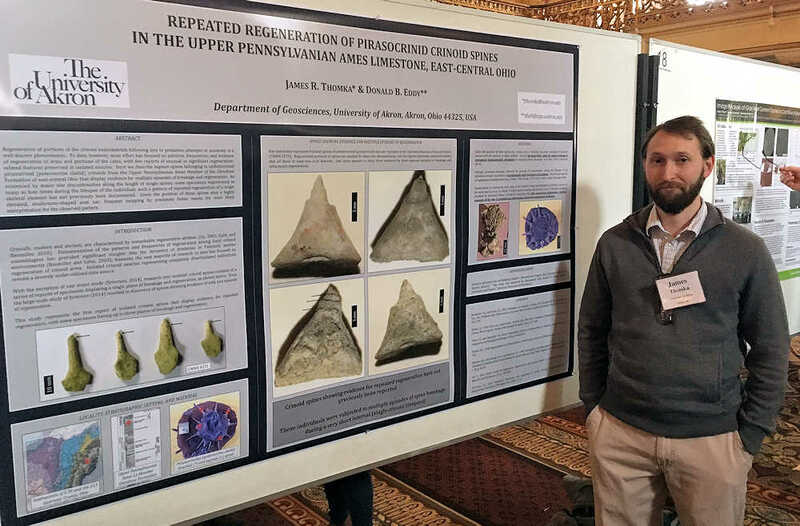 James Thomka posing in front of his Crinoid predation poster (of the Ames Limestone) at the 2017 NE GSA meeting! James Thomka in the field.